← William R. Breen Jr.
Denton, Texas, June 13, 2016, Debra Stellar, Director of Sales and Marketing for Starlite Sign, LP, has been recognized by Elite American Executives for dedication, achievements, and leadership in manufacturing. An expert in sales management, Ms. Stellar has spent the last 14 years working for Starlite Sign LP, an international supplier of electrical signs. As the director of sales and marketing, she is responsible for developing and maintaining client relationships through interaction and coordination. In addition, she writes proposals and handles sales. By exuding a confident level of negotiation, she has been able to manage projects and work with high profile companies including Chuck E. Cheese’s and Hobby Lobby. Further, Ms. Stellar is accountable for collaborating with municipalities to obtain large signage for the best price and value available. Ms. Stellar’s extensive experience in the manufacturing industry has led to a working knowledge of the design and installation of quality interior and exterior electrical signs. By employing her hard work ethic, she has showcased her perseverance and tenacity in pursuit of getting the job done. Likewise, Ms. Stellar has met with copious successes including the title of Vendor Sales Representative of the Year by Hastings Entertainment. She has earned this recognition on four occasions since 2004. In order to keep abreast of changes in her field, Ms. Stellar has completed coursework in business, accounting and psychology. Moreover, she devotes herself to the client and upholds Starlite’s commitment to customer satisfaction. A benevolent individual, Ms. Stellar participates in voluntary initiatives with Susan G. Komen for the Cure, in her spare time. 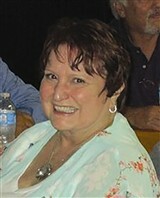 She also enjoys spending time with her seven grandchildren, and watching football and basketball. For more information about Starlite Sign, LP, please visit www.starlitesign.com. 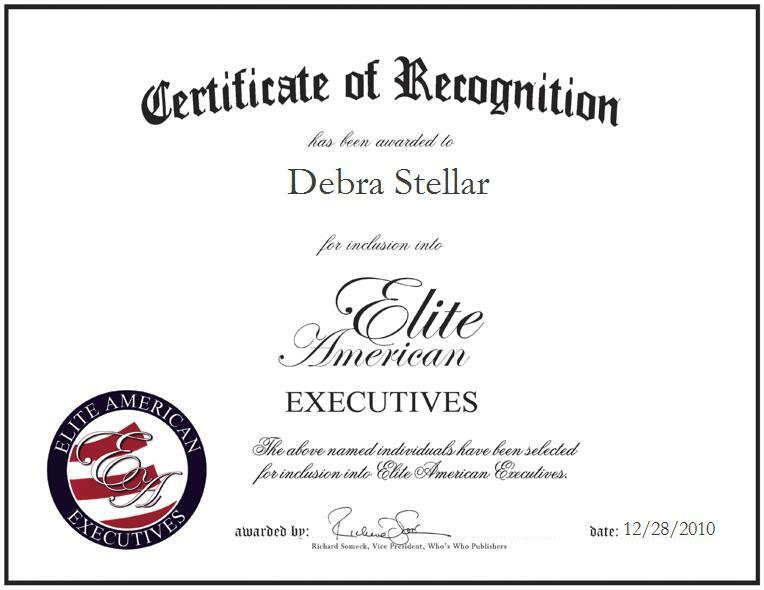 Debra Stellar was originally selected for inclusion in Elite American Executives in October, 2010, as well as 2012 and 2013. We are proud to be featuring Ms. Stellar again in Elite American Executives for 2016. This entry was posted in Marketing, Sales and tagged director, electrical, proposals, representative, sales. Bookmark the permalink.